With 26 sporting events, 17,000 athletes, 31 competition venues, the London 2012 Olympics and tickets are on sale from this Tuesday – but you’ve only got six weeks to get your hands on a ticket. There are 8.8 million tickets up for grabs, with all oversubscribed sessions being allocated via a ballot. Spectators will then have six weeks to decide which Olympic event they wish to attend. You can make an application at any point during the six-week period as tickets will not be issued on a first come first served basis. 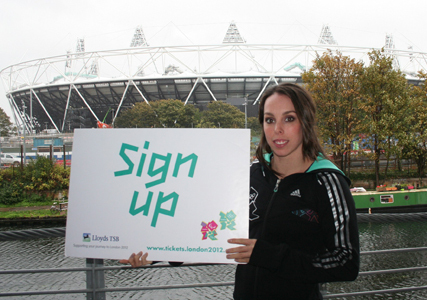 ‘I think the Olympics is a great opportunity to inspire and encourage people to be involved in sport and physical activity,’ World Champion gymnast Beth Tweddle tells Marie Claire. Tickets are available at a wide range of prices starting at a purse-friendly £20. But you can’t get your hands on a golden ticket if you don’t register. So what are you waiting for?